It was spotted on Samsung’s Russian website last week, but now it’s official. 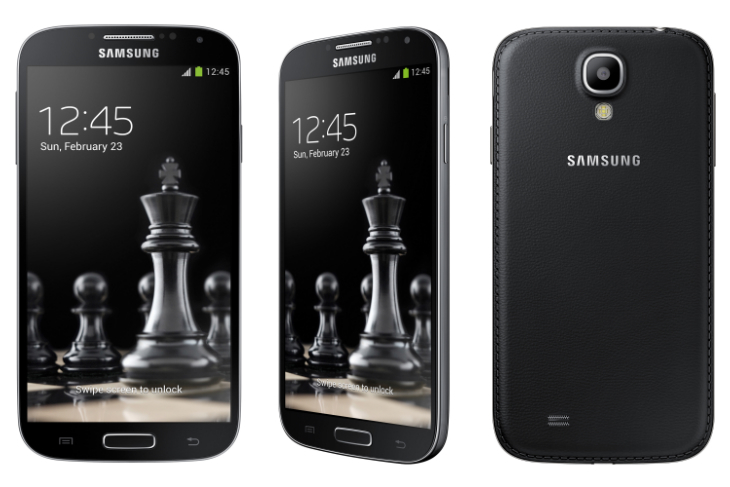 Samsung is launching a ‘Black Edition’ Galaxy S4 and Galaxy S4 Mini later this month, sporting a faux leather back panel similar to the Galaxy Note 3. On the specs side, it looks like Samsung hasn’t changed anything for either device. They will, however, come with a series of exclusive wallpapers and ringtones – which we doubt many people will care about – as well as a ‘Black Edition’ power adapter, data cable and headphones. Samsung refrained from offering any details about the price or international availability of the handset, however. The release is timely given that Samsung is expected to announce the successor to the Galaxy S4, likely called the Galaxy S5, later this month at Mobile World Congress. Will Samsung ditch the glossy plastic back entirely for its next flagship Android smartphone? It seems increasingly likely.